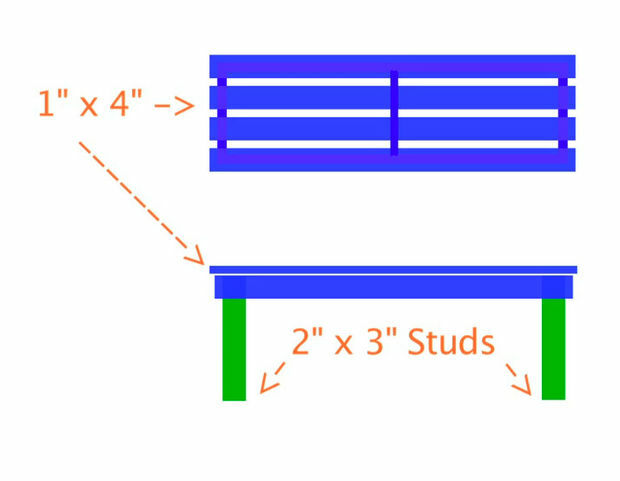 Make outdoors fun with this simple DIY wooden bench. 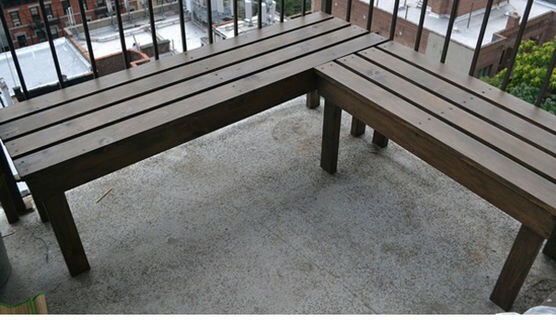 FurnishYourself.com: Does your home/office have an attached balcony or a space as small as 5 ft X 9 ft which you don’t know how to utilize? We don’t want to crowd up the place with chairs and tables, so here’s a brilliant idea to convert that space into a comfortable area with a simple wooden bench. 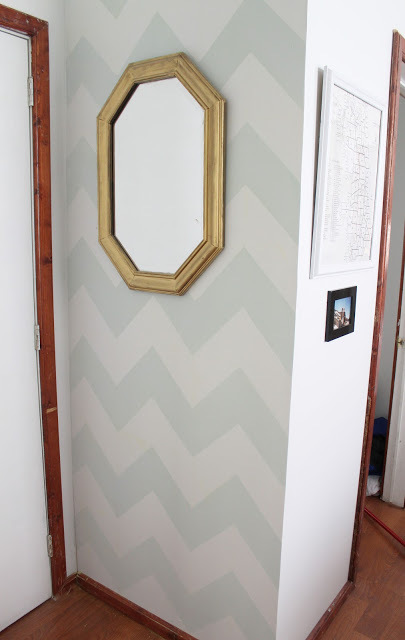 Use this simple DIY (Do it Yourself) design that only takes a couple of hours to make using basic tools and materials. Tip: You can easily get this cut at the hardware store. First coat the wood with a semi-transparent weather proofing paint (Coffee color). Apply the second coat once the first coat is dry. Assemble the frame by first applying some glue on the ends of each frame item, then use corner clamps to hold the frame together as the glue does its job. 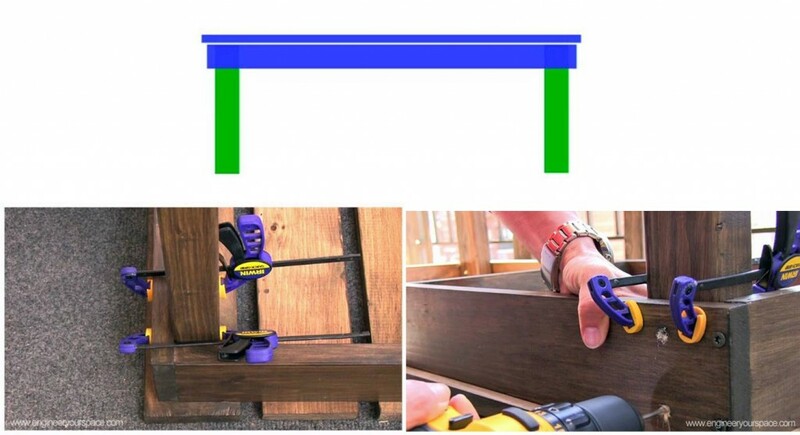 To further strengthen the frame, drill two pilot holes and put in screws (use 1 1/4″ screws). After the four sides are put together, add the middle piece (center across the length of the frame) for extra support. 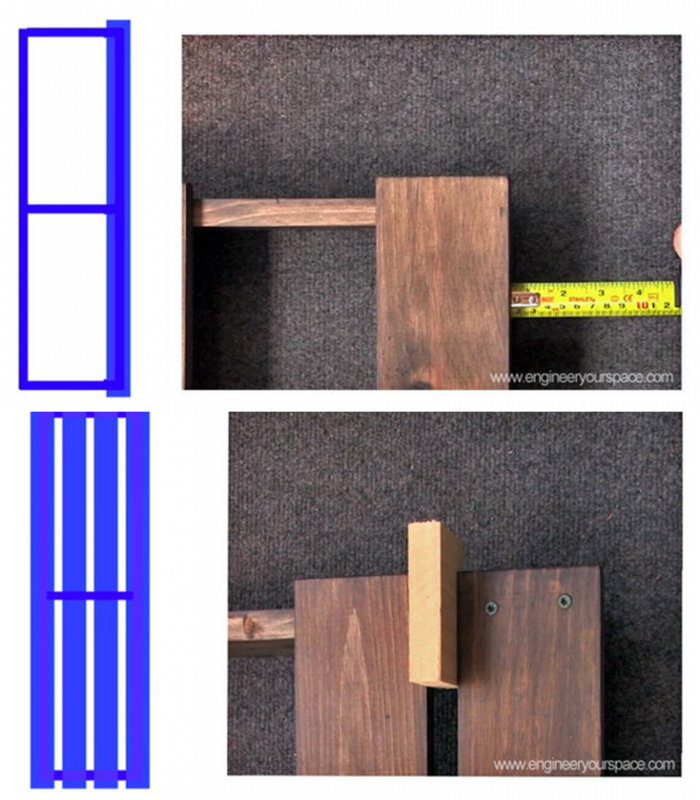 Take one of the top planks (1″ x 4″) and place it on top of the frame in such a way that it is 1/2″ past the edge of the frame at the ends and on the sides. Drill pilot holes and screw in place. Screw in place the remaining pine boards, using a scrap piece of 1″ x 4″ as a spacer. 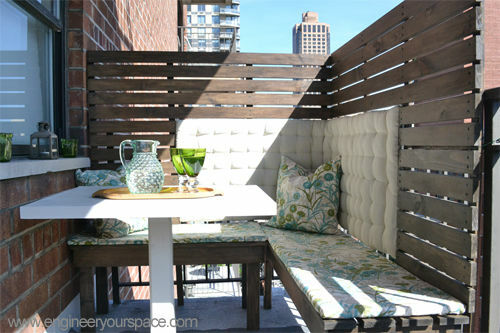 Step 6: Customize your DIY wood benches with cushions and privacy panels to make it an ideal outdoor dinning area. 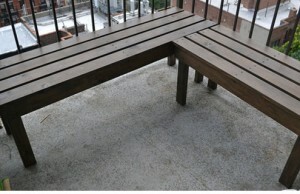 FurnishYourself.com is an online portal for the most creative and simple DIY projects at home, outdoor and for crafts.